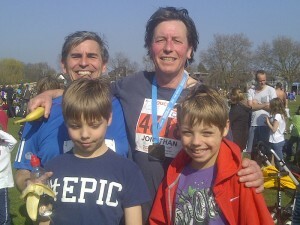 Jonathan with Phil and grandson’s Aidan and Joshua at the finish! It was a glorious March day when Jonathan, a guide with The Cambridge Tour Company, set off with his brother Phil and 4,500 others to run the 13 mile half marathon. The race wound it’s way through the centre of this beautiful city and past most of it’s iconic buildings. Well, we made it! Crossing the finish line on Midsummer Common some 2 hours and 20 minutes after we started. I ran to raise funds for St Luke’s Primary School. 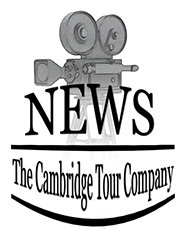 A wonderful little state school here in Cambridge which my twin grandsons attend. Have just heard the total raised was £906.50 which the PTA will put towards a kitchen refurbishment where all the kids learn to cook. Many thanks to all my generous sponsors!